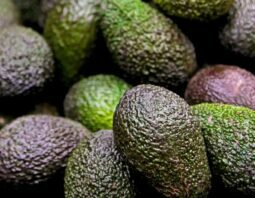 Find out everything you need to know to make the most out of luscious avocados, with recipes and ideas galore, in this gorgeous (and free!) ebook just for you. 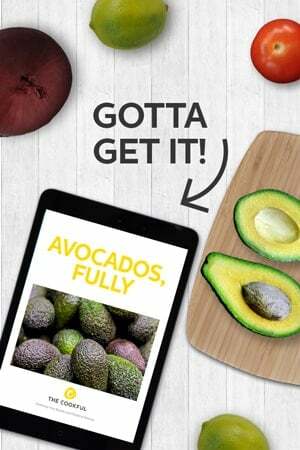 Avocados, Fully, our ebook all about avocados, is full of How To’s, tips and recipes. It’s free for a limited time when you become a Cookfulian. Ha! Because we’re fun! Also, because you’ll get cool food tips and recipes sent to you regularly, but not too often (we won’t spam you. Pinky swear). Cookfulians also get free access to all of our other ebooks. We publish one with each new food topic that we cover. There are already 31 available and another one will be out soon. You’ll never guess what our next topic is, but we know you’re going to LOVE it! It’s awesomely awesome!! Hi. Enjoy your recipes, etc, but don’t seem to be able to download your avocado ebook. Peter, If you put your email address in the yellow box above, you will get an email with a link to the ebooks. If you are already a subscriber, when you initially signed up you were given a link to access the ebooks. That is where all the ebooks are and where they get added regularly. So you always have access to that page and to all the new books. I’ll be sending out an email to subscribers soon with the link as a reminder. Sorry for the confusion. Why don’t you do something to make it easier to download the e-books. This seems to be a continuing complaint and it is frustrating enough that I am seriously considering just deleting this website. David, I don’t understand why it is difficult. When you initially signed up you were given a link to access the ebooks. That is where all the ebooks are and where they get added regularly. So you always have access to that page and to all the new books. I’ll be sending out an email to subscribers soon with the link as a reminder. But if you bookmark that page, you can get all the books whenever they come out. Sorry for the confusion.